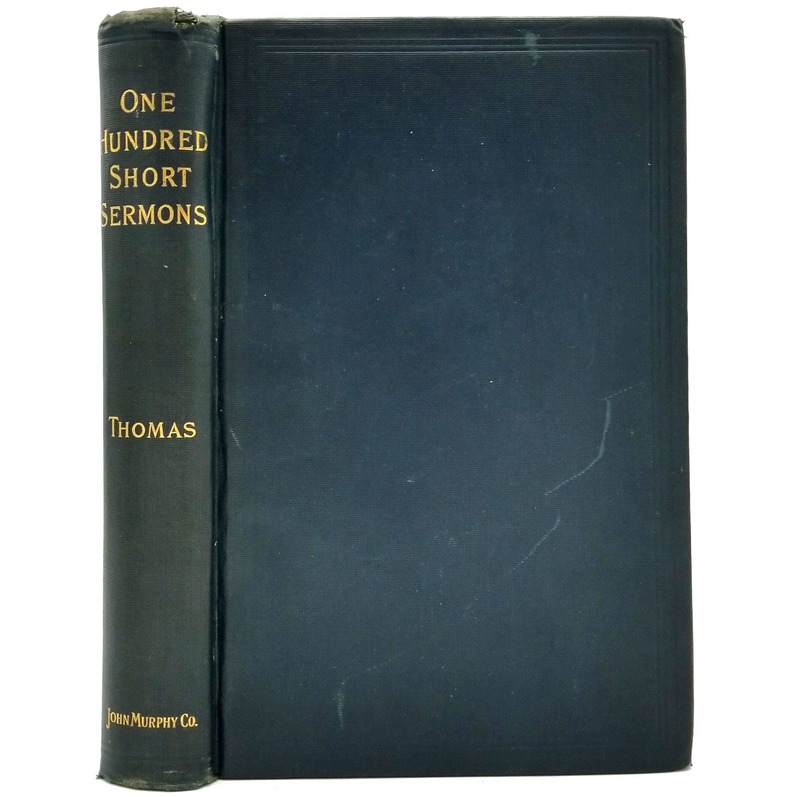 One Hundred Short Sermons by H.J. Thomas 1859 Hardcover HC Catholic Religion - John Murphy Co. Description: Ex-priory library book has a little wear to head and tail of spine with a little fraying and tearing to cloth, mainly at head. Starting hinges, both front and rear. A few soil/discoloration spots on boards. A couple scratches on front board. Stamps on ffep. No other library indicators. No marks to pages. Binding is sound. Translation from French by Rev. G.A. Hamilton. 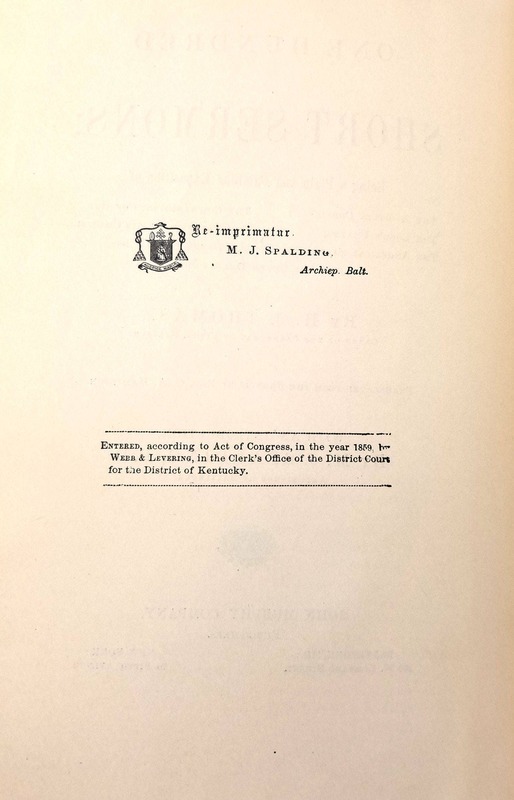 Introduction by M.J. Spalding. 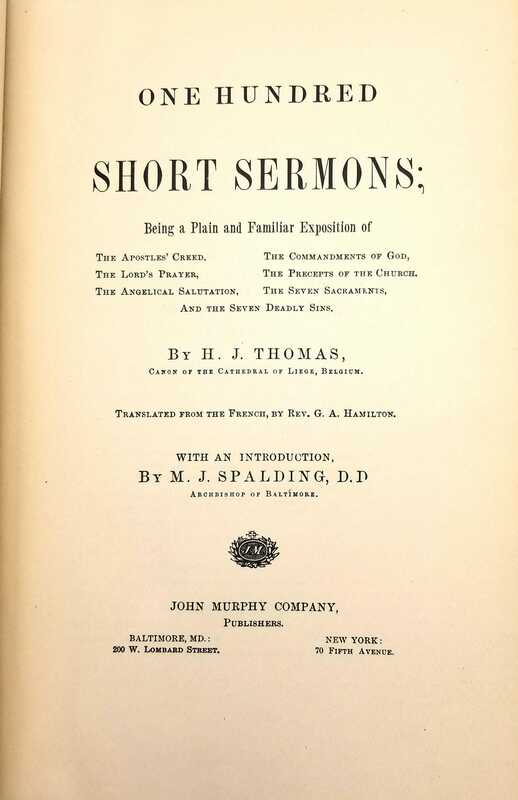 "Being a Plain and Familiar Exposition of The Apostles' Creed, The Lord's Prayer, The Angelical Salutations, The Commandments of God, The Precepts of the Church, The Seven Sacraments, and the Seven Deadly Sins." Size: 6.25 x 9 inches.